PMM takes a closer look at GEMCO’s MOT equipment offering. When thinking of new MOT equipment, there are so many things to consider before making your purchase. 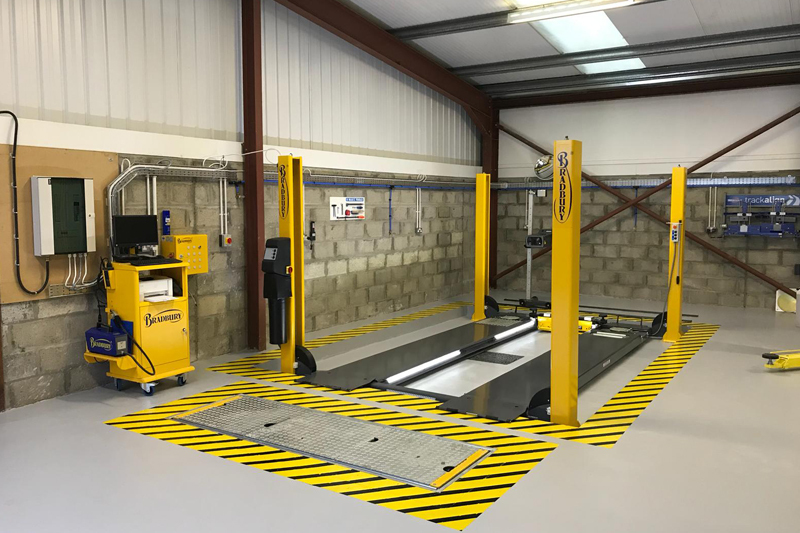 GEMCO claims to offer a wide range of MOT equipment to cater for individual space requirements and budgets alike. As a starting point, the company’s sales office team can arrange a site visit, during which they will discuss your requirements, whilst giving advice on how to make the most out of any existing equipment. 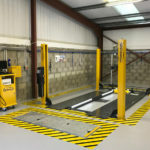 Whether it’s a one person testing facility (OPTL/ATL) or the traditional two-man operation (MOT), a vehicle lift is required (unless a pit is to be used), and this can be either surface-mounted or recessed. For two- man testing, a lift with turn plates is required, and for ATL (or an OPTL upgrade), a lift with turn plates and play detectors (also known as shaker plates) is necessary. A jacking beam, which can be either manual or air operated, is also required. Traditional MOT models display the test results on a live analogue display board, while the ATL models feature advanced functionality such as vehicle weighing, tablet operation and the facility to print test results. The PC on ATL models can also be used for running the workshop’s own programmes. The most preferred option is to have a combined/dual emission analyser capable of testing both petrol and diesel vehicles presented for test. All of GEMCO’s machines come with wireless smoke heads and are PC based. Supplied on rails which can be either surface- mounted or recessed in a channel, GEMCO’s headlight testers are available with a laser for aligning the vehicle to the headlamp aligner. Convex MOT mirrors (for one man testing), brake pedal depressor, MOT signs and accessory products are available. GEMCO’s main MOT/ATL equipment brands are Bradbury and AUTOPSTENHOJ. Both brands cover different levels of customer requirements and price points. In the same way that it’s essential to get your customers’ cars serviced on a regular basis, the same can be said for your garage equipment. With a national service team, GEMCO Service ensures that your equipment is up and running as quickly as possible to avoid letting customers down and losing income. Most lifts include a free maintenance contract for the first year if equipment is purchased directly from GEMCO, and the company has recently launched an online portal which helps to speed up the process of getting equipment back into action. Previous : Ammonia: The Next Big Emissions Crisis?